HitBTC is greatly aimed to become one of the most popular global platforms for those companies which are dealing with various virtual currencies. HitBTC cryptocurrency trading platform provides advanced exchange as well as clearing technologies. The platform was launched back in 2013 and it is operated by HIT Solution Limited which is located in New Territories in Hong Kong. HitBTC since the very beginning claims to be among the world’s best-advanced Bitcoin trading platforms. Like we have already mentioned the company was introduce by HIT Solutions Limited, but it is operated by the Danish Ullus Corporation. It is a global exchange platform which offers multi-currency support. It offers customers ICOs, tokens and cryptocurrency exchange as well as it provides a market for fiat trading including EUR and USD trading pairs. This is the place where both trading professionals and newcomers will be able to trade easily. The platform is built on top of latest technologies in order to provide secure, fast and of course reliable service for every customer. Customer greatly appreciates fast order executions, great range of convenient way for depositing and withdrawing as well as competitive and reliable client service. When it comes to the newcomers, they like platform’s intuitive user-friendly interface and amazingly easy-to-start platform. The platform started four years ago with a certain investment agreement. It means that there was the collaborations between finance professionals, some experienced traders and of course major software developers. They together have implemented unique features like real-time clearing and advanced order matching models and algorithms. The platform, in fact, has been acclaimed for offering high availability for its fault-tolerance as well as uptime. HiTBTC is among the most popular online places for Bitcoin and other virtual currencies exchange. It offers 0.1% fees on each market trade and it also lets you trade with a variety of virtual currencies including LItecoin, Bitcoin, Dogecoin as well as with fiat currencies including USD and Euro. It is fair to say that the platform really has a surprising range of virtual currencies offered and there are not many platforms of such kind where you can find some lesser-known cryptocurrencies that you can find here. The platform, in fact, is best known for being a robot-friendly exchange place. HitBTC offers a robust collection of APIs which make it interesting and attractive to exchange bot developers. Like any other exchange platform, HitBTC promises the greatest security since they employ 2-factor authentication as well as advanced encryption technology like the use of cold storage. The platform is a great place for both newcomers as well as for experienced traders. 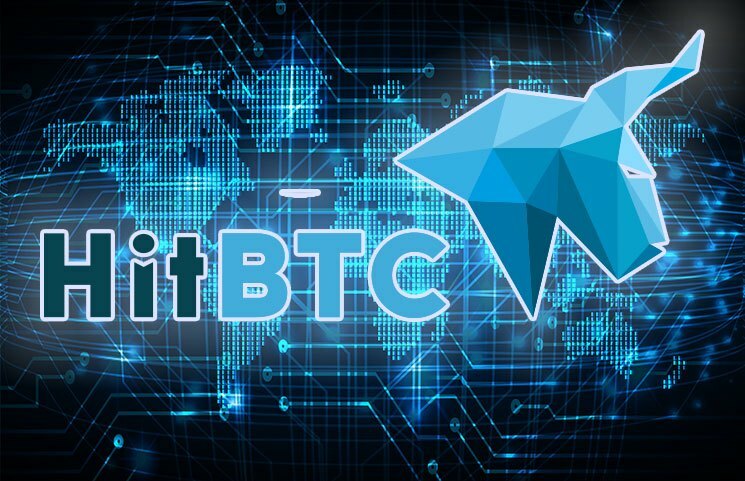 There are many advantages when it comes to this platform, but one of the unique advantages that you will find only here is that HitBTC provides support for the Fix protocol as well which you can see rarely with other cryptocurrency exchange platforms. The platform also allows demo trading. This feature is surprisingly rare in this world. When you ask some other Bitcoin exchange platforms why they don’t offer demo trading, they simply respond that you make some minimum trades of $1 which is treated as demo trading. On the other hand, HitBTC offers a full-fledged demo which can introduce their users to the world of virtual currencies and Bitcoin. When it comes to the HitBTC trading, the platform is a basic exchange which offers services at some good rates. It is possible to exchange Litecoin, Bitcoin, Dogecoin as well as some lesser-known virtual currencies like duckNotes. In total there are nine virtual currencies which can be traded as well as three fiat currencies. The letter consists of the British Pound, U.S. Dollar, and Euro. When it comes to the order execution fees those could be better. For USD OR BTC this is around 30 basis points and trade fees are around 10 basis points per each trade. All orders can be executed as a limit order or market order. There are also available advanced orders in demo platform, but they are not implemented in the main trade. HitBTC has a terminal that is information-packed which displays all recent trades, movements that are over a set period of time and all currency pairs. There is also demo trading available, so you don0t have to dive in immediately with your real money. You are able to access all exchange features without spending real money. This is among the main reasons why the platform has been enjoying great popularity especially. Some other major Bitcoin exchange platforms don’t offer demo trading like HitBTC, and people like to see service first before spending their money. When it comes to the funding, these options are also a basis. Funding methods are limited to wire transfers. The platform charges $9 flat rates for both withdrawals and deposits. This doesn’t include additional fees which may be charged by the bank. However, this funding option can be both slow and expensive. On the other hand, within the SEPA Zone funding fees drastically improves. It makes HitBTC the best to serve this area since flat rate fee is just €1. For every trusted user, withdrawal and deposit limits range from 2,000,000 amount to unlimited amount of any currency per each day. The platform lets you withdraw and deposit from fiat currencies and you can exchange fiat currencies for a great variety of different virtual currencies. HitBTC has a website that features a responsive design. It is accessible through mobile devices as well. However, an optimized HitBTC App is not introduced yet. There are also no research amenities or performance analysis tools. On the other hand, it is important that account can be greatly secured with two-factor authentication feature which is provided by HitBTC. Simplicity has been a priority in the website design, but there are some features which are hidden by default that might be a bit hard to locate. The platform is very popular especially due to its API. It comes with several different interfaces which are easily implemented in custom software. Those interfaces are a socket.so, RESTful API and Streaming API. For instance, RESTful API allows users to access market data, manage funds and perform various trading options. In other words, it allows you to access a great range of HitBTC features. On the other hand socket.op protocol allows you to receive different market data while Streaming API protocol lets you access trading operations and market data. One of the greatest HitBTC features is definitely its support for the FIX protocol. It supports the FIX protocol via two interfaces which are including FIX Market data and FIX Trading. HitBTC is very popular virtual currencies trading platform which offers some unique features that can be found only here. Those features really set the platform apart from its competition. Features like support for FIX protocol in addition to a robot-friendly API are what make the platform a very popular option for both experienced traders and newcomers. The platform also provides a demo version which is rarely found at virtual currency exchange platforms. When it comes to the customer support, it is a less extensive since customer support can only be contacted via email. To conclude the platform is pretty solid, but some users believe that HitBTC should be more transparent since there is no physical address as well as no real live identity who can be associated with HitBTC website. On the other hand, developers have done an amazing job with the design of the website and there are some pretty amazing features as well. On the other hand, the website’s credibility can be greatly improved if they step into the light and provide more transparency.